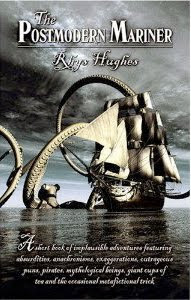 Rhys Hughes, The Postmodern Mariner. Screaming Dreams, 2008. Pp. 160. ISBN 9780955518522. £7.99. A delight, that’s what this book is. Funny, touching and as easily digestible as Frabjal Troose’s ginger biscuit moon that hangs over Rommel Cobra’s Sea of Tea. Yes, we are in the surreal, unpredictable and often achingly funny universe of Rhys Hughes. Hang logic on the hook by the door, suspend disbelief over the clothes rail to dry and only enter if you have a sense of humour and a love of the absurd. The Postmodern Mariner is a slight book, decorated with stunning cover art by Steve Upham and split into three distinct but linked sections, which are all part of Hughes’ 1,000 linked stories masterplan, a monster story cycle spread over anthologies and magazines everywhere. Allen Ashley, Once and Future Cities. 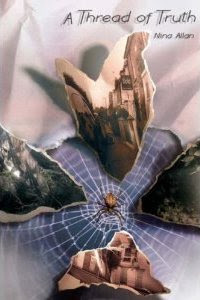 Eibonvale Press, 2009. Pp. 424. ISBN 9780955526886. £25.00. Allen Ashley is a BFS award-winning author and a stalwart of the independent press scene. 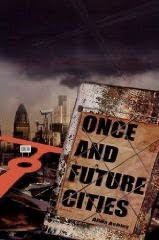 Once and Future Cities is his third collection of shorts, and delves deep into the urban apocalyptic mythos to present twenty-two beguiling stories. Sharp observations of the modern day sprawl and its careworn residents are the order of the day here. Celebrity culture, the beauty obsessed, and inner-city paranoia all go into the mix to create a shrewd overview of contemporary life. The result should make for a depressing read, but Ashley’s prose and lightness of touch guide you through the post-industrial fallout like a comforting hand, and humour is never far from the surface. Ashley merges the mundane and the fantastic with serious aplomb, presenting the reader with a veritable feast of seaside sirens, robotic dolls, and corporate/religious team-building jaunts. Don’t ask—it would ruin the surprise. All of this is set against a background of disaffected lovers, windblown litter and TV junk, which serve to lure you deeper into Ashley’s bleak, broken but bittersweet world.